Arts Hub, January 13: “Creating a shared sense of community, culture and history will be the focus of the 2015 Australian Theatre Forum next week.” Read More. 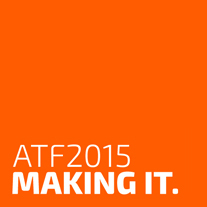 David Williams discusses ATF 2015 plans at Victorian Theatre Forum Read more. David Williams announced as curator on AMPAG. Read more. Theatre Forum Curator announced on Arts Hub. Read more.